"Dan, I started reading your book late in the evening, fell asleep on the sofa, woke up around 3 A.M. and finished another chapter. I love it, but now my marriage might be in jeopardy. My wife said no treasure hunting book is worth sleeping on the sofa for, unless I plan on sleeping there every night. Any chance that you will author a marriage study guide?!" I've been reading books about treasure hunting and metal detecting for almost half a century now. And my feeling is that there are a lot of good books out there, but most of them have some problems. Similarly, several excellent books on coinshooting were written in the 1970s and 1980s, but the detectors those books recommend have not been made for years. Does General Motors Promote the Ford Motor Company? 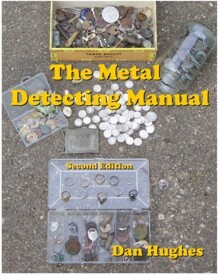 Many books about detecting are published by the companies that make metal detectors, or written by owners or employees of these companies. Some of them read like extended commercials for the brands that produced them. Can you imagine a book put out by Ford that tells you to buy a Chevrolet? Or even admits that Chevrolet exists? Right. And many other books are limited in depth and scope. They are digest-sized, with good but limited information. 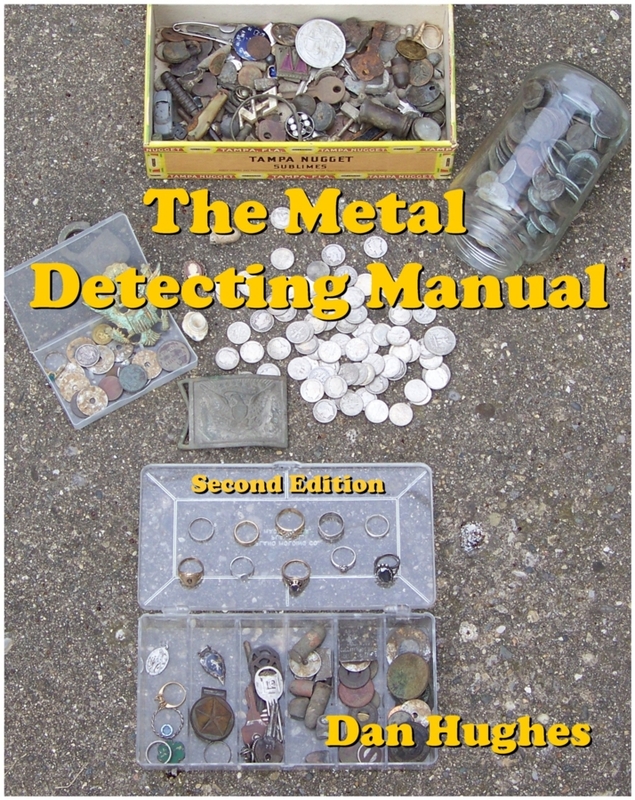 So when I decided to write a metal detecting manual, I wanted it to be a large, easy-to-read, unbiased book that covered all facets of this wonderful hobby. Readers tell me I've done a pretty good job of it. And that's just the beginning. Here's the full Metal Detecting Manual Table of Contents. And, you can read an actual sample page from the book. Important Note: This book is available ONLY from my website. I pack, address, stamp, and mail every copy personally from my home. This book is not sold in stores, and Amazon and other online booksellers do not have it and cannot get it, unless they buy it from me for the same price you pay.